Dog owners do it wrong whenever they feed their dogs from the table. Begging is a human-initiated problem and an unwanted behavior that can be addressed through positive reinforcement. In this video, English dog trainer and television presenter Victoria Stilwell uses vocal and pointing cues to teach her dog to stop from begging while she is eating. According to Stiwell, you need to build up the process, cues, and actions before introducing human foods in the training. First, she teaches her dog how to go to her place, using a vocal cue ‘place’ and an action which is her pointed finger. Then, she guides her dog to a mat where her dog can go to. She rewards her dog with a treat after she is all four poster on the mat. Victoria stresses the importance of having a reliable stay cue in place to enable the dog to know what you are talking about. On her website, Stilwell outlines several tips to stop your dog from begging at the table. Feeding the dogs from the dinner table is big NO, according to Stilwell. If your dog repeatedly does this behavior, you can stand up and block your dog with your body. A combination of physical hand signal and vocal cue such as ‘back’ are also suggested. Training the dog on how to stop begging for food should be done first with no food at the table. 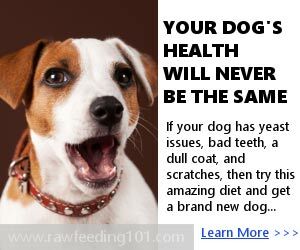 You can test the behavior of your dog by gradually introducing food and increasing its value as your pet becomes more patient. Yelling at dogs which are persistent should be avoided. If the positive reinforcement techniques did not work, your dog must be placed in another room away from the temptation. Victoria produced a series of videos titled “Teacher’s Pet”. This video highlights her Positively Method which she developed to train your dog the right way. The video also offers a guide on how to improve your communication with your dog and provides tips on how to strengthen the bond between you and your pet. Is it possible for your dog to speak, sing, howl, and talk on command? If it sounds unbelievable, just watch the video which offers a guide on how to teach your dog these behaviors. According to the video, the first things you need are tiny little treats when conducting the training with your dog. There are several ways you can go about to teach your dog to speak. While other people use the door knocking method to trigger their dogs to bark or make noise, the dog owner in the video teases her dog until she makes noise. First, the dog owner dangles the treat up in front of her face to excite the canine. Then she commands the dog to sit and speak. When the dog makes a little noise, the owner gives her dog a treat. It is important to reward the dog whenever she makes a little noise because he will eventually figure out that it is your end goal. This part of the training requires several repetitions until your dog masters the desired behavior. The next segment of the training teaches another dog how to sing. This trick is ideal for dogs who are naturally more vocal. In the video, the owner uses an older dog because some dogs take a longer time to learn this trick. The dog in the video already knows how to make noise on command. You can use a harmonica to make a sound that your dog can mimic. Once your dog has successfully replicated the harmonica’s sound, he will eventually learn to produce this kind of sound equates with singing. If your dog tends to bark instead of howl, just ignore the barking and reward your dog. You can easily teach your dog to sing if he already knows how to speak or bark. Your dog’s natural howl should be marked as “sing”. The “quiet” command is needed to get your dog to stop howling. The most important aspect of this activity is fun. But patience is also needed since some dogs are slow learners while others can adapt to instructions easily. This video is about training your dog on how to a spin as discussed by Joanne Bassinger, a dog training school manager and instructor at Andrea Arden Dog Training facility, which is located in New York City. Joanne recommends this activity for dogs of any size, age, and physical condition. Spinning is a trick that can be enjoyed not only by the dog but also by his owner. This can be taught in two ways: spinning in one direction and training your dog to choose between left and right directions. There are two accessories that you need to train your dog to spin. One is a handful of treats and another is using a clicker on hand. In the video, Joanne used treats to help the dog learning how to spin. To start the training, you need to get the attention of your dog first using a treat. Then, hold the treat above your dog’s nose and slowly move in a large circle. Your dog will follow your hand movement as you make imaginary circles around him. Praising your dog is important if he manages to follow your hand’s circling movements. Repetition is imperative if you want your dog to get the hang of doing the spinning. Of course, the more treats they have, the more they are willing to master the trick. Once your dog easily manages the trick, you can add verbal cues such as “Spin Around”. If you will ask for 2 or three spins, you have to give your dog a treat every time he successfully completes spins. Your dog will eventually do the spins without the meritorious treats. Please do not make your dog dependent on lures. Patience is essential in this activity. If you don’t have one, forget to teach this trick to your dog. You can also bring your dog to training facilities such as Andrea Arden to receive professional help from instructors. Teaching a dog turn seems pointless or nonsense but it can be a useful exercise and a great way for you to bond with your dog. This activity can be better done by clearing the room of any distractions such as toys and children. Training sessions should be kept short!